Water damage is a cause for concern in any multi-family housing community. Something as simple as an overflowing sink can turn any apartment into a shallow pool, usually requiring remediation services. Not only must wet carpet be dried; if the damage extends to the baseboards and walls, then there is the likelihood of mold and structural damage, and in extreme cases, temporary resident relocation. Senior living communities have the same potential for water damage as any other multi-family housing community, and in some cases, increased risks exist. In one New England senior living community, a resident planned to hand wash clothes in a bathroom sink in her second floor apartment. She plugged the sink and walked away while it filled. Once out of the bathroom, she forgot that the water was running and left the apartment. The problem only became evident when staff members noticed water collecting in the first floor apartment and great room directly below.The community contacted Rich Martini, owner of SMD Inc., a provider of emergency call systems, to install a wireless water detection system to reduce the risk of such events in the future. “There was major damage,” Martini said. “To prevent against mold in the walls, they had to rip out and replace the drywall, and there was a grand piano on the first floor that had to be cleaned and restored.”All in all, the damage totaled more than $20,000. Given that insurance deductibles can run as high as $7,500, the community incurred a significant out-of-pocket expense. In some cases, a senior living community may decide to not even submit a claim, paying for it all out-of-pocket to avoid increased insurance premiums.The community also had to contend with administrative expenses. First, staff members who normally would have been supporting residents had to coordinate with contractors for repairs. Second, the community had to dedicate staff members to be present during repairs to ensure that residents were comfortable with workers in their apartments. Lastly, the water damage clean-up disrupted residents' normal routines.It's worth noting that the water damage in this case was contained to only two floors, affecting two apartments and a common area. Had this been a high-rise building, many more floors would have incurred similar damage.A single undetected leak or overflow can cause tens of thousands of dollars of water damage in multiple apartments and can even make entire buildings unlivable. In 2008, the water line to the rooftop sprinkler system in a senior living facility in Brighton, CO, broke. The building was flooded, and 56 residents were displaced. The building later was condemned by Brighton Fire Rescue.For a senior living community, the true cost of water damage is much more than the sum total of contractors' invoices. The best protection against water damage is exactly the kind of system that Martini was called in to install. Commercial wireless water detection systems can provide an early warning against damage, protecting against the kind of extensive damage that occurs when leaks and standing water go undetected.Commercial water detection often can be integrated into a senior living community's existing emergency call system. Once integrated, water detection alarms will be provided to caregivers along with the alarms from residents' emergency call buttons, environmental monitoring transmitters and activity sensors. Water detection is both reliable and affordable, providing early warning in both senior living and multi-family properties. 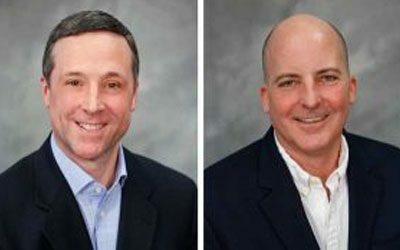 Todd Stanley is senior product manager, senior living, and Scott Fincher is senior product manager, environmental monitoring, for Inovonics, a Louisville, CO-based maker of high-performance wireless sensor networks for life safety and commercial building security applications.